The Transportation Inportalfrastructure Office (GIT) of Macau has commissioned a report into the collapse of the Hengqin tunnel, connecting the University of Macau’s new campus on Hengqin Island to Taipa. The incident took place late last Thursday (July 19), at the Hengqin exit of the cross-harbor tunnel. No workers were injured in the collapse. The GIT issued a press release yesterday, July 23, stating that it had formed a panel of experts to review the incident and would endeavor to submit its report by the end of the month. Meanwhile GIT also instructed the contractor to inspect the condition of the collapsed area, along with possible safety hazards. The tunnel had been due for completion this autumn. According to the Transportation Infrastructure Office (GIT), the incident took place late in the night at around 11pm last Thursday. Witnesses working at the site told the media that six night-shift workers were operating at the Hengqin entrance of the tunnel, with four on the surface and two inside the tunnel. Workers on the surface reported hearing strange noises coming from the site and felt abnormal ground movements. They immediately informed tunnel workers through a wireless communication system to evacuate. 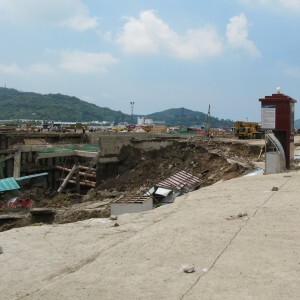 The ground surrounding the tunnel entrance then collapsed, burying five pieces of heavy machinery inside the tunnel. Nobody was injured in the incident. 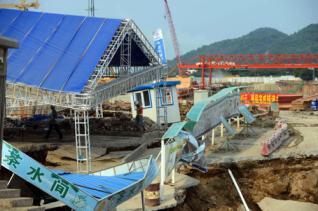 GIT and the Zhuhai municipal government asked the contractor to suspend works immediately. A team of engineers was then dispatched to the site to check safety conditions before a decision on work resumption could be made. The four-lane traffic tunnel is being constructed by open-cut excavation and is divided into three sections: the Hengqin approach, a 530m long underwater section and the Macau approach. The underwater section is being constructed within a dried cofferdam with seawater pumped out to facilitate construction. The budget for the tunnel was revised last year to MOP2 billion (US$250 million), from the original MOP500 million, due to design changes that included increases both in width and depth to allow for 3,000 tone vessels to cross the water channel above. It is not clear exactly what caused the cave-in, but the contractor told media that the structural integrity of the site – which is reclaimed land – had been compromised by the rainy-season, with heavy showers taking place almost every day since June. The contractor is said to have dismissed safety concerns for the project, stressing that the collapsed area is a temporary work site and not the core element of the project. Macau lawmaker Kwan Tsui Hang is said to have expressed concerns over safety standards, saying the case prompted questions about the technical capabilities of the contractor, as well as whether safety measures were strictly followed during construction. She stressed that considerable additional budgetary allocations had been granted to the project on the grounds that it involved complicated operations and technical requirements due to its location. 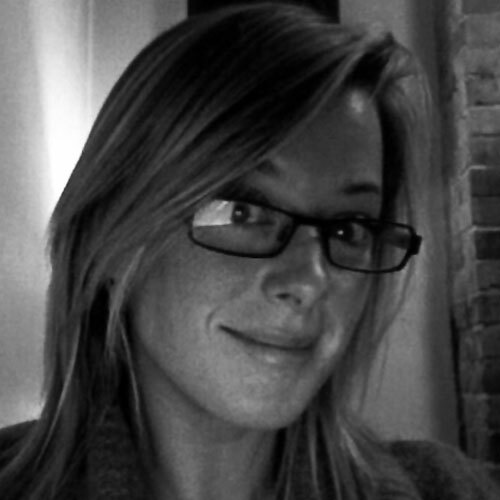 She urged the authority to conduct a review of the site. Separately, the media questioned the government over its information disclosure mechanism, as local press only learnt about the incident from Mainland media 12 hours after the incident took place. GIT said they informed the Macau authority immediately after being alerted to the event. GIT arranged a media tour to the site last Friday and sent journalists to the site on a chartered bus at 4pm, but the media did not receive notice of the press conference until 3:37pm that day. The University of Macau was not available for comment. It was not clear if the suspension of works will affect the construction schedule that was expected to be complete by the end of this year. Since being designated as a Special Economic District by China’s central government in 2009, Hengqin Island has become a hive of construction activity, with the University of Macau’s new self-contained campus to the east – only accessible via the tunnel from Macau itself – and the south of the island due to be redeveloped as a major tourist destination. It has been predicted that Hengqin’s population will rise from a few thousand residents at present to around 280,000 by 2020, and that its ecologically themed Ocean Kingdom resort alone will ultimately attract 20 million tourists.